Power outages, inaccessible offices, zero internet connection, and system downtime -- these are some things companies in Miami can expect during hurricane season. If there’s one crucial lesson to be learned from last year’s hurricane Irma, it’s that business survival depends on the effectiveness of a business continuity plan (BCP). The Sabio service delivery team is constantly learning and improving our Disaster recovery plan in order to be ready to support our growing list of Miami small and medium businesses that rely on us for proactive business continuity panning. This allows them to focus on their family and clients instead of their technology. And if you still don’t have a BCP in place or a reliable IT service company to help you with this, we’ve got some bad news: Hurricane season has begun. The good news is that it’s not too late to batten down the hatches. Whether you’re building a BCP or refining an existing plan, these tips will help you recover from a devastating hurricane. Power outages are inevitable during a hurricane, and there’s often no telling when power will be back on or even the possibility of having no access to your office. In disaster-prone times, over-reliance on on-premises backup or manual procedures is extremely risky because it leaves you at the mercy of the electric company or local authorities to regain access to your office. 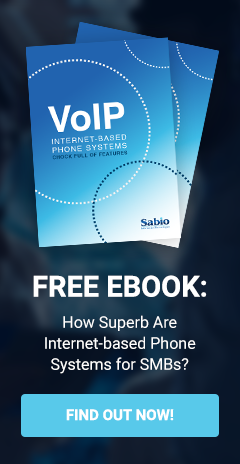 This is why the anytime-anywhere access offered as part of the All Inclusive Support services offered by the Sabio IT services plans is indispensable to your business continuity strategy. Here at Sabio, we prepare our clients for hurricanes and other disasters by encrypting and backing up their data at two secure, off-site data centers. Our data backup and disaster recovery allows for immediate restoration of business-critical files so staff can get back to work quickly after a disaster. In the event you do not have access to your office, our solution will allow access to your data from any location that has Internet connectivity. Considering Florida has one of the worst ‘cyber-hygiene’ according to a recent study, a robust data backup plan comes in handy on and off hurricane season. Do your employees have laptops they can use when they work from home? Can they access key business files in the cloud? These are questions you should be asking when creating or modifying your BCP. Unfortunately, many businesses neglect this aspect of their plan. Small- and medium-sized businesses (SMBs) should provide key employees with laptops, a backup internet connection, mobile devices, and other resources they can use when a hurricane strikes. More importantly, regularly test BCP devices. There’s nothing worse than realizing these resources are for naught because employees can’t log in remotely. Constant communication is crucial in an emergency situation for two reasons: to ensure customers can reach you during a disaster, and to keep your employees and vendors in the loop about the business’s operational status. VoIP phone systems make this possible by allowing staff to use mobile devices to send or receive important messages via the internet regardless of their location. However, many businesses still make the mistake of relying on landlines, which more often than not, is one of the first things to go when a disaster strikes. A detailed risk assessment helps identify the extent of damages your operations could suffer during a hurricane. Whether your office is located on the 20th floor of a Greater Downtown Miami high-rise or the first floor of a low-rise, there are specific risks you need to prepare for based on your location. For example, a high-rise office might not have to worry about floods but still have to protect against cybersecurity threats caused by network issues. In this scenario, a risk assessment will help you determine which risk factor should be addressed first: physically securing your premises or strengthening security systems. Run mock disaster scenarios to test your organization’s disaster preparedness, identify issues, and refine them. Although a written disaster plan helps, employees will be better equipped when they can practice how to deal with a real hurricane. While there’s still time, continue fine-tuning your BCP until you’re certain your business can recover and operate as normal in case of a hurricane. Developing a business continuity plan is an ongoing process that businesses of all sizes must undertake. Sabio Information Technology has helped many Miami businesses cope with disasters -- from fixing malfunctioning servers, archiving backups, to restoring data. 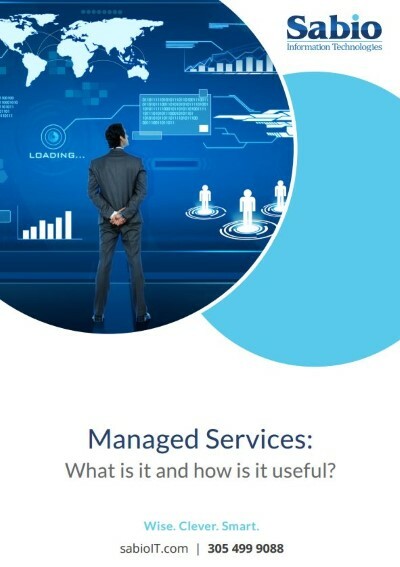 Get in touch with our Managed IT services team to bulletproof your business technology.